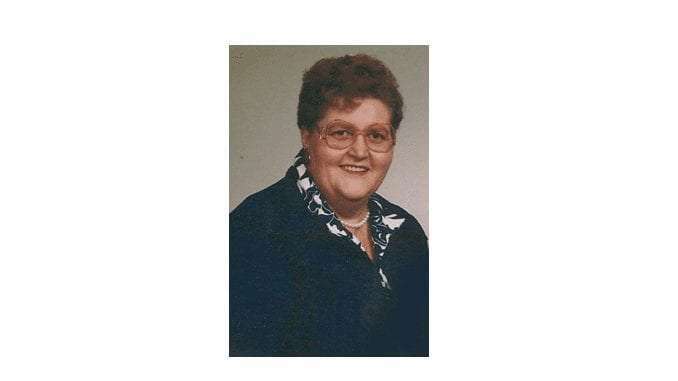 Barbara Jean Gerdes, 80, of Strawberry Point, Iowa, passed away on Tuesday, December 25, 2018, at the Cedar Falls Health Care Center in Cedar Falls. She was born on March 4, 1938, in the West Union Hospital in West Union, the daughter of Leo and Kathleen (Torson) Pierce Williams. Barbara grew up in the Waterloo, Alpha, and Strawberry Point areas, and received her education in the rural area schools. She was a 1956 graduate of Strawberry Point High School. On May 2, 1957, Barbara was united in marriage to Edwin Gerdes at the Emanuel Lutheran Church in Strawberry Point. Four children were born to this union. For several years, Barbara worked as a clerk in Jenkins Corner Grocery Store. She then worked as a nurse’s aide at the Strawberry Point Lutheran Home for 22 and a half years and then as a Homemakers Home Health Aide in Clayton County for 20 years. Barbara and Edwin were both baptized and confirmed at Emanuel Lutheran Church in Strawberry Point. They were also members of the Strawberry Point American Legion and Auxiliary Post #218. Barbara enjoyed playing cards, doing puzzles, and making crafts. Barbara had many obstacles with her health over the years, but always fought back with a positive attitude and a strong faith. Her family was very important to her and she cherished spending time with them. Survivors include her two sons, Bruce Gerdes of Arlington and Daryl Gerdes of Strawberry Point; two daughters, Mary Ellen (Russell) Lamphier of Manson and Connie Gerdes of Hanlontown; three grandsons, Adam (Crista), Wesley (Michelle), and Brent Lamphier; seven great-grandchildren, Andrea, Alexander, Chase, Christian, and Carsen Lamphier, and Harmony and Georgia Brandow; one sister, Karen (Keith) Brimmer of Center Point; two nieces and two nephews; and many friends. Barbara was preceded in death by her parents; her husband, Edwin Gerdes in 2003; and sister-in-law, Lorena (Donald) Kramer. Memorial Service: 10:30 a.m., on Saturday, December 29, 2018, at Emanuel Lutheran Church in Strawberry Point, with Rev. Susan Friedrich officiating. Visitation: 9:30 a.m. until the time of the service, on Saturday, December 29, 2018, at Emanuel Lutheran Church in Strawberry Point.